Our communities have real issues that need real solutions. Four more years of increasing inequity is unacceptable. We deserve a mayor that understands and represents the entire City, including the flatlands of East and West Oakland and Chinatown, who will act to bring bold solutions and an inclusive vision to the issues facing our city. Cat Brooks deeply understands that the race for Mayor is about how and for whom power is wielded in Oakland. Oakland Rising Action is proud to give our sole endorsement for Mayor to CAT BROOKS. Her values are unapologetically rooted in racial and economic justice and the self-determination of our communities. 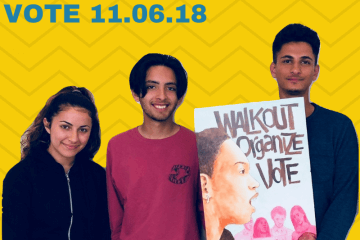 Cat brings a proven track record of effective leadership for the people, and a long list of hard-fought victories on issues ranging from public safety to budgets to education. Cat Brooks is a candidate of action, committed to building unity amongst working families and lifting us ALL up. Cat brings executive management experience that will translate well to working inside City Hall. She has founded and/or led multiple organizations operating at the local and state levels, including the National Lawyers Guild. She understands how to leverage government agencies, navigate bureaucracy and work the system to make change happen. She has demonstrated a mastery of coalition building, negotiation skills and strategic communications. Her vision and track record is one of moving in partnership with all residents to make Oakland a city where EVERYONE can thrive, not just a wealthy few. 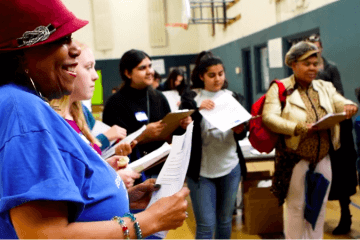 While Oakland is at a crossroads with our issues of homelessness, deteriorating infrastructure and growing inequity, Cat is working with community to design clear and rational solutions to address these growing problems. In contrast, our current mayor talks a good game about equity and diversity, but under her tenure Oakland’s working-class and Black and Brown residents continue to be woefully neglected and pushed out. A recent Equity Indicators Report, in which Oakland scored a failing grade of 33% under Mayor Schaaf’s leadership, made this abundantly clear. The lack of affordable housing and economic opportunity, coupled with a bloated and decaying police department and failing public school system call for addressing the root causes of these problems. The current administration offers only band-aid solutions like forcibly moving homeless camps and changing the top police brass. These changes do not address the root of Oakland’s problems – which have been made clear to the Mayor by thousands of residents and dozens of community and labor organizations. We need proactive solutions that advance racial and economic equity by making developers and corporations pay their fair share. Mayor Schaaf has failed to substantially address these issues in a proactive and innovative manner, instead catering to developers and wealthier residents. We can take one look at the tents in the streets and the cranes in the sky to see what’s driving her agenda. Across the country, we see cities and states standing with progressive women of color candidates who are unapologetically taking a stand for communities of color by spearheading common sense approaches. Oakland should not only be a part of this growing wave – we should be leading the way. It is time for change, real change for all Oaklanders. 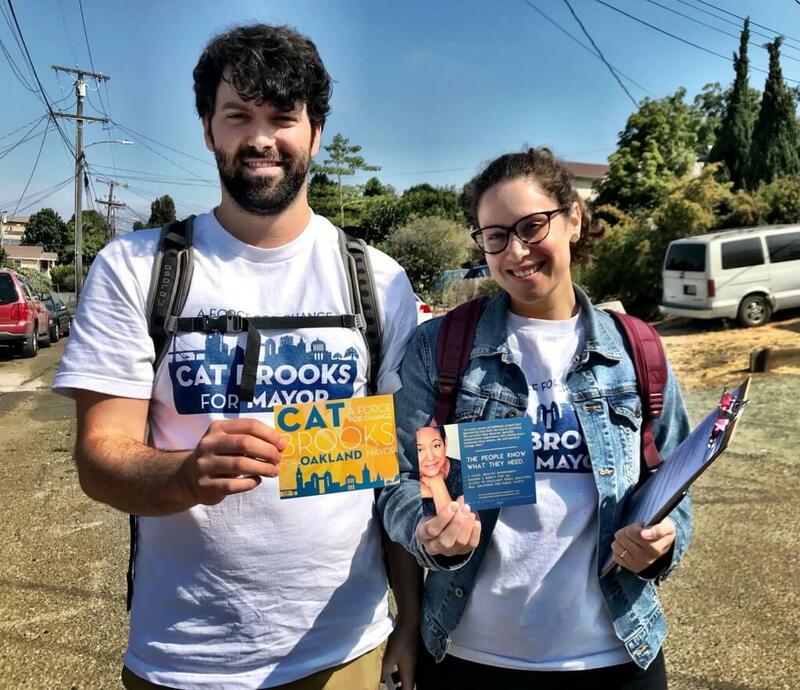 Join us in supporting Cat Brooks and vote by November 6! 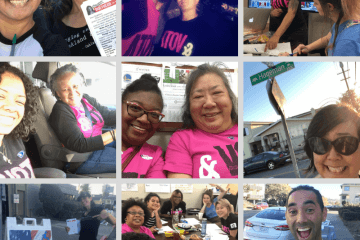 Getting the word out to voters is the most important work we do. Volunteer to help share Cat’s vision. And if you can, Cat needs YOU to contribute to #ThePeoplesCampaign.